Fall has arrived! It is time to pull out your boots, grab your flannel, make a cup of hot coffee and head out to the farm. Maryland is full of fun harvest festivals, pumpkin patches, and local farmers welcoming the crowds this time of year. While you may have a favorite from your childhood, this is the year to explore just a little bit more in search of the Great Pumpkin. Here is our top list of the best pumpkin patches in Maryland. This St. Leonard farm has special events every weekend. You can head over for tractor weekend, make a scarecrow in addition to enjoying hayrides, a straw maze, petting zoo, corn box, and more. The cost is only $8 for the activities and it comes with a pumpkin, making this an amazing deal. You cannot get fresher vegetables anywhere else. That's because Glade Link Farms lets you pick your own in addition to picking your favorite pumpkin. The foodies in your group will appreciate the flavors these fresh veggies add to dinner. They have a fall festival Oct. 20 - 21 that features hayrides and more. Who says that pumpkin patches need to be at the farm? Baltimore brings to fun to the city with the year's urban pumpkin patch. The event is free and includes pony rides, a petting zoo, and more. Head to this Harwood farm for hayrides, a corn maze, face painting and plenty of pumpkins. 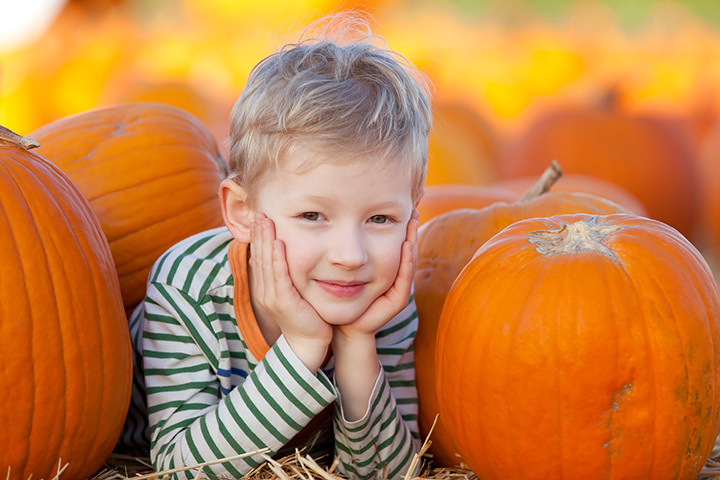 Located in Anne Arundel County, you can get into the pumpkin patch for free (many in the area charge an entrance fee) and just pay for the activities that you want to do. Every weekend in October, you can head to Germantown and visit Butler's Orchard. Kids will love the hayloft jump, playground, and hayrides while parents can get lost in the corn maze, play corn hole or try the pumpkin cannon. This farm is open longer than most others with a start date of Sept. 19 that doesn't close until early November. The kids will love seeing all of the farm animals, getting lost in the straw maze or going on a hayride. For extra fun, try the gemstone panning. That is one experience you won't find anywhere else. The best part about Councell Farms is that grandparents are free. This makes it a perfect grandparent bonding day and includes a large pumpkin patch and corn maze in addition to other fun fall activities. This farm is open longer than most others with a start date of Sept. 17 that doesn't close until early November. The kids will love seeing all of the farm animals, getting lost in the straw maze or going on a hayride. For extra fun, try the gemstone panning. That is one experience you won't find anywhere else.